80% cotton, 20% virgin wool (fabric weight 136 g/m²), fabric made in Italy. Contains non-textile elements of animal origin: mother-of-pearl buttons. Garment made in Germany. Colour dark blue. Back length for size L = 77.5 cm. 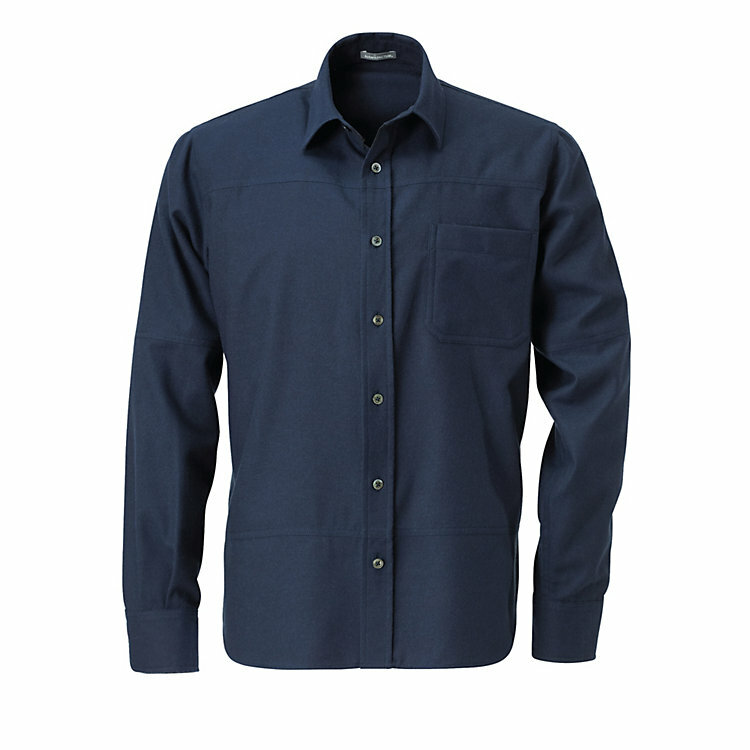 Plain coloured flannel shirt with a Kent collar, breast pocket and two circumferential divider seams, one in the shoulder area and one above the lowest button.